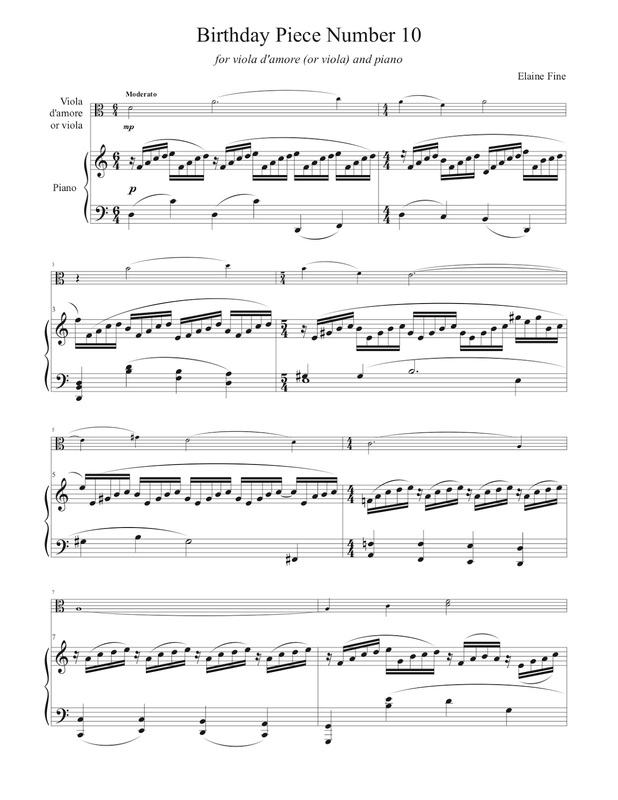 Today is my fifty-ninth birthday, so here is the tenth in a series of "birthday pieces" for viola d'amore and piano that I began when I turned fifty. My first "birthday piece" had fifty measures, and each year I add one more. This year's piece has fifty-nine measures for fifty-nine years. My viola d'amore is in the shop getting some repairs done, so this year's birthday piece can be played on either viola or viola d'amore. 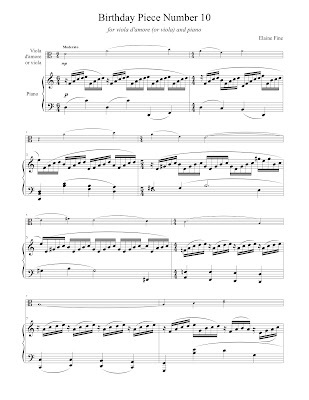 You can listen to a computer-generated recording here, and you can get the music on this page of the IMSLP. You can find the rest of my birthday pieces in the IMSLP too.